We are all extremely busy people so any idea that saves time has to be a good thing right. 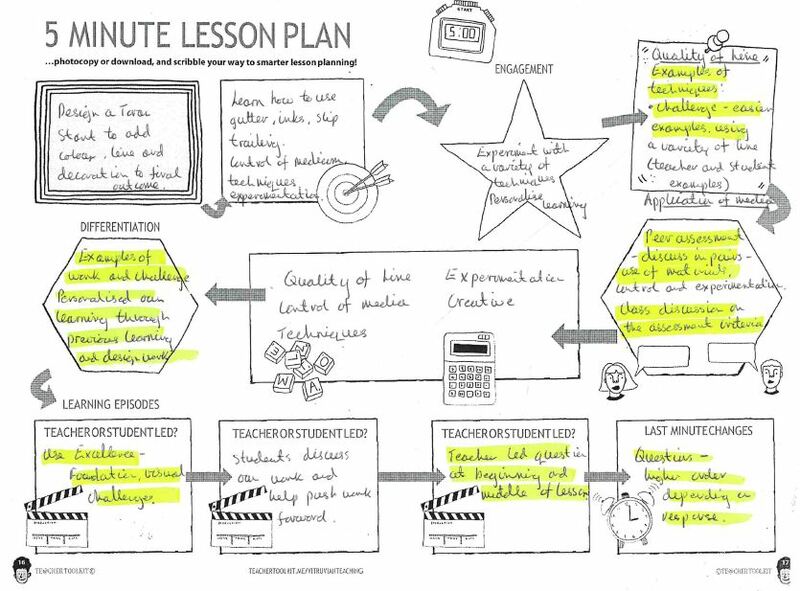 The 5 minute lesson plan, developed by Ross McGill of Teacher Toolkit, is a quick and easy way to plan engaging, Differentiated and Challenging lessons. Below is an example written by Emily Stoodley. The highlighted areas are methods used to incorporate Differentiation and Challenge into the lesson. Click on the image below to open.